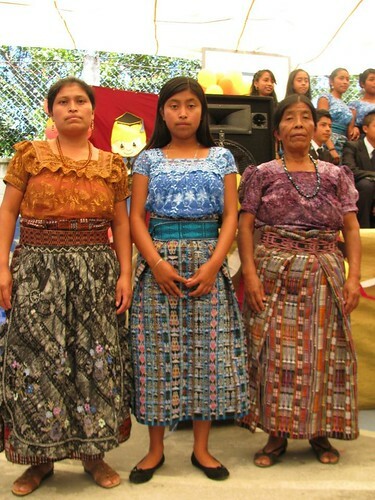 The Beca Project » Our 1st graduates! 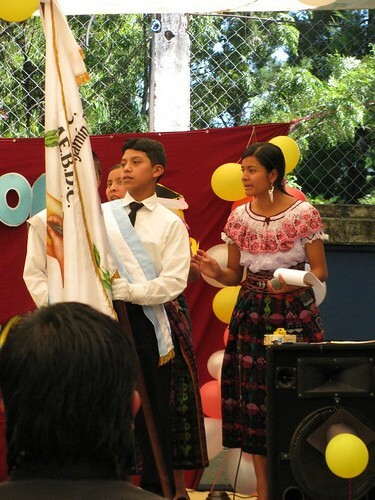 Last week 2 of our Beca students, María Elena and José Antonio, graduated from “Basica”, the Guatemalan equivalent of a 7th/8th/9th grade middle school. 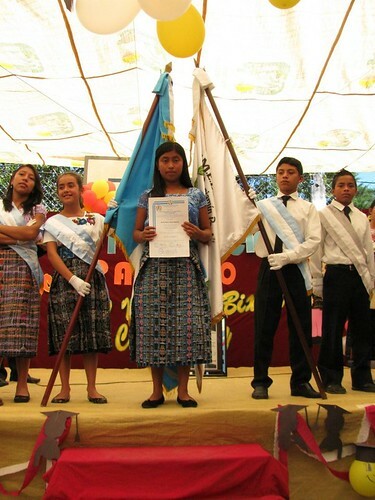 Beginning in January they will attend, with the continuing support of their sponsors, the “Diversificada” program of their choice – sort of a combination of high school and college. María Elena has chosen to train to be a bilingual secretary; “bilingual” refers to English and Spanish so her native Tz’utujil means she’s trilingual. She is seen below displaying her diploma and with her proud mother and grandmother. 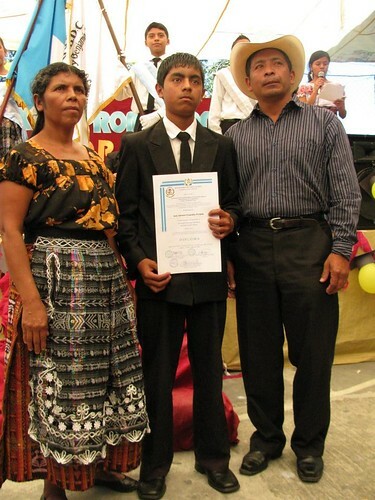 José Antonio wants to be a doctor and his Diversificada program will be his first step in that direction. He had a serious medical scare last winter which inspired his career choice. Thanks again to those of you who have contributed to the emergency food and medical fund! It not only covered hospital and treatment costs his family couldn’t afford, but provided food support for his family so his father could be with him at the hospital in Sololá. Here he is during the processional and with his proud parents. Also, one of our 1st year Beca students, Mariano, had such outstanding grades he was chosen to be a flag bearer for the ceremony; he can be seen on the job below and in several of the photos above. To view a slideshow with these and additional photos from the ceremony, check out this set on my flickr website. I am very proud of these kids and inspired by their dedication and the support of their families. 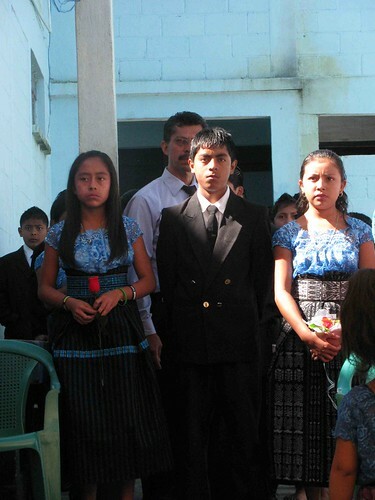 I am happy the Beca project can provide financial assistance so they can change their own lives.